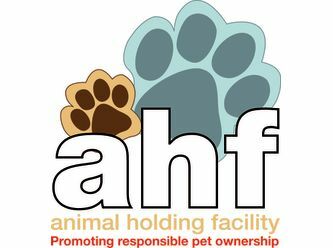 Blacktown Animal Holding Facility (BAHF) is the largest holding facility in New South Wales. Over 5,000 dogs and cats come through its doors every year and it provides the opportunity for stray, lost or unwanted animals to be re-united with their owners. The facility also encourages unclaimed strays or surrendered animals to be re-homed in order that they may again find someone to love and care for them. Please quote the impound number (next to the name of the animal) when enquiring. 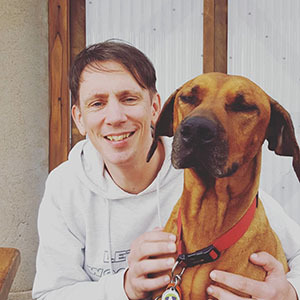 If you already have a dog and wish to adopt another one, we urge you to visit the facility with your dog for a 'Meet and Greet' to ensure that they are compatible. Please arrived AT LEAST 30 minutes before closing time. 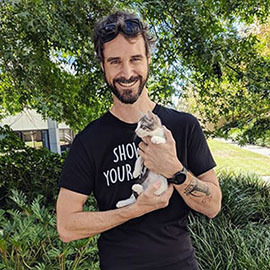 All of our animals come desexed, vaccinated, microchipped, vet-checked and lifetime registered in NSW and this is included in the adoption fee. Available for immediate adoption ♥ Kimba loves running around chasing other cats and anything else she can chase. She also enjoys biting toes and rolling around and she is happy to cuddle up in bed after a long day of being naughty. Kimba is about 10 weeks old. Her adoption price is $200 and this includes desexing, microchipping, lifetime registration, vaccination, and health check. 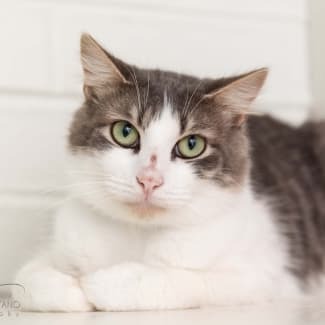 Please visit Kimba at our facility if you are interested in adopting her and remember to bring your cat carrier with you. Her impound number is 1368. Available for immediate adoption ♥ Diesel was found in a car engine on 5th December last year. He was covered in grease and dirt and he was terrified. Luckily for him, he was brought to our facility and he was placed in foster care straight away. Diesel enjoyed sleeping on the couch in foster care and he LOVES food more than anything in the world. He loves food more than he loves people... He was spoilt in foster care where he was given chicken necks, beef mince, chicken livers, raw chicken, poached shredded chicken, tinned grain-free food and more. As you can see, Diesel is a bit of a meathead! Diesel loves playing with balls, balls with bells and toy mice. He gets along with other cats and is happy to be around dogs that leave him alone. Diesel is now back at our facility and ready for his forever home! He is very timid and would suit a home where his new owners will be patient with him and give him time to settle in slowly. He is about 6 months old. Please visit Diesel at our facility from 9am tomorrow if you are interested in adopting him and remember to bring your cat carrier with you. His adoption price is $200 and this includes desexing, microchipping, lifetime registration, vaccination, and health check. His impound number is 5309. ♥ Available for immediate adoption $30 ADOPTION FEE THIS WEEKEND Calypso is a sweet girl with a strong personality. She is about 3-4 years old. 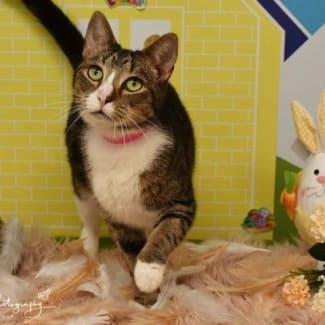 Please visit Calypso at our facility if you are interested in adopting her and remember to bring your cat carrier with you. 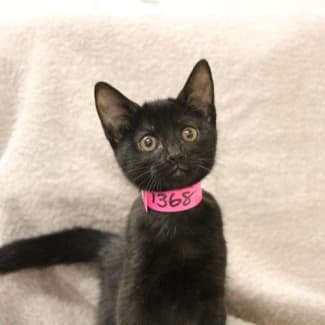 Her adoption price has been reduced to just $30 and this includes desexing, microchipping, lifetime registration, vaccination, and health check. Her impound number is 950. LOVES to sit on your lap! ♥ Available for immediate adoption $30 WEEKEND ADOPTION SPECIAL Harry Clooney is a gorgeous ginger ninja who loves sitting in your lap. He enjoys spending time with kittens at our facility and he's about 3-4 years old. 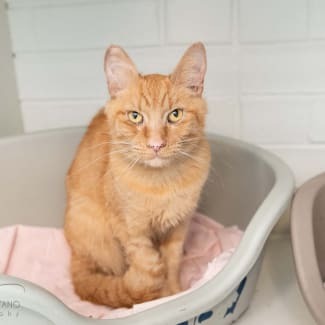 Please visit Harry Clooney at our facility if you are interested in adopting him and remember to bring your cat carrier with you. His adoption price has been reduced to just $30 and this includes desexing, microchipping, lifetime registration, vaccination, and health check. His impound number is 540. ♥ Available for immediate adoption $30 REDUCED ADOPTION FEE Meet Zak the gentle boy who is very quiet and timid. He would love to be adopted to a patient family who are willing to give him time to settle into his new home. Zak is 2-3 years old. 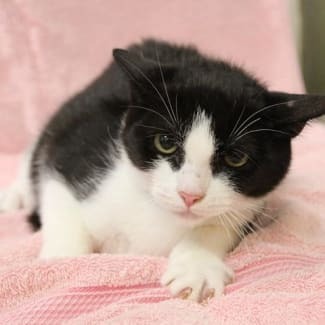 Please visit Zak at our facility if you are interested in adopting him and remember to bring your cat carrier with you. His adoption price has been reduced to just $30 and this includes desexing, microchipping, lifetime registration, vaccination, and health check. His impound number is 1021.